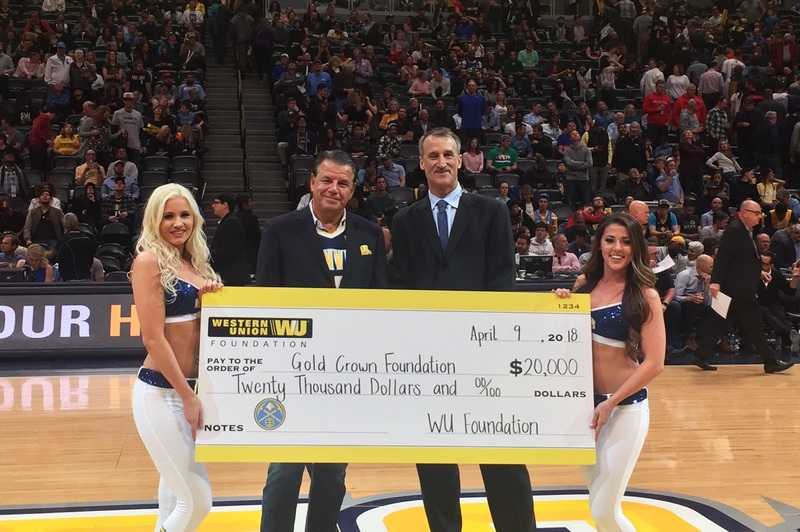 In a special Denver Nuggets halftime presentation, the Western Union Foundation presented a $20,000 check to the Gold Crown Foundation, as part of its WU Assists promotion. Throughout the 2017-2018 season, the Western Union Foundation pledged to donate $10 for every assist made by a Nuggets player in a home game to the Gold Crown Foundation, which helps young people in our community become creative and confident leaders through enrichment and sports programs. Before last night’s final regular-season home game, Nuggets players made 1,981 assists, earning $19,810 for the Gold Crown Foundation. Western Union’s President and CEO, Hikmet Ersek made an additional ‘assist’ during the halftime presentation, rounding the donation up, to total $20,000. The WU Assists promotion was in support by Western Union, who announced in 2017 that it would be the first corporate jersey sponsor of the Denver Nuggets, further establishing Western Union’s hometown commitment. Cecilia Hendrix Energetic marketing, communications and social media manager with more than a decade of experience in telecom, finance and non-profits. Overall, quite the interesting human.